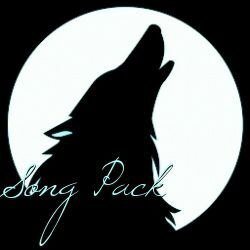 The Pack of Everlasting Song was founded by Luna, an adolescent wolf, at the Dawn of the Wolf, where the northern lights met the earth and gave way to wolves. She led well, and her pack began to bloom, when another pack rose to challenge her. A pack called Dark Pack. It was led by the bloodthirsty Abaddon, who hoped to rule over all known wolves, and as war begun, it looked like he might. That's when Luna found her key to victory- Abaddon's brother and general, Dolphus. Luna saw good in his heart and slowly, little by little, convinced him there was more in life than power and control, and eventually led him away from Dark Pack to her side. Dolphus taught Song Pack how to better their fighting moves as Luna taught him how to fight with even defense and offense, and together, the two led Song Pack to victory in the war, ending with Luna's win over Abaddon himself; however, he swore, one day he would find revenge on Song Pack. Luna and Dolphus, who had already fell in love, raised a family and led their pack into an era of peace and prosperity. Ever since, their line- taking the surname Dolphus- has ruled, until a few years ago when hunters set fire to the camp and split the pack in two, and the Alphas- Including the female, the descendant of Luna- and their children were presumed dead. When the pack eventually reunited, the Dolphus Alphas and their former Betas, who had ascended, decided to co-lead what had become a huge pack together. The capitol is set in a heavily wooded area, and is generally rather hilly. The camp itself is set in a clearing centered around a great rocky outcrop, known as the Howling Rock, where meetings and monthly gatherings are held. Glaciers from hundreds of years ago carved out a large collection of small, connected caves called the Royal Cave Connection where the Alphas', Betas', and heirs' dens are held, along with a nursery and den for the elders. Visitors from other packs are often housed here as well. The healing ward and other dens, for gammas and deltas are situated around this connection. A shallow, quickly moving creek that feeds into Rain Pack's great river flows through the pack, and is a popular spot for all.